Business Analysis Tools for Understanding SME Businesses. Most independent Business Consultants and Advisors operating in the SME space will choose a variety of analysis frameworks, tools and models that will get to the heart of any business and any industry. In this article, I will be talking about the business analysis tools that I prefer to use and why. I like to use the traditional trickle down Vision, Mission, Objectives and Strategies model as shown in the image below. I have written about how the model is best used in a different blog post at http://howsmybusinessdoing.com/what-is-this-vision-mission-and-objectives-thing-all-about/ but present it in a slightly different way here for those of us in the business advisory community. I believe that Vision and Mission come from the heart of the business owner and those that surround him, both in the business and at home. When there is clarity about these, then the Objectives must be set that marry with the chosen Vision and Mission. To do this properly, a business owner must carry out a detailed analysis of the business environment in which he operates. This is most often accomplished with the help or facilitation of external Business Consultants and Advisors like us. 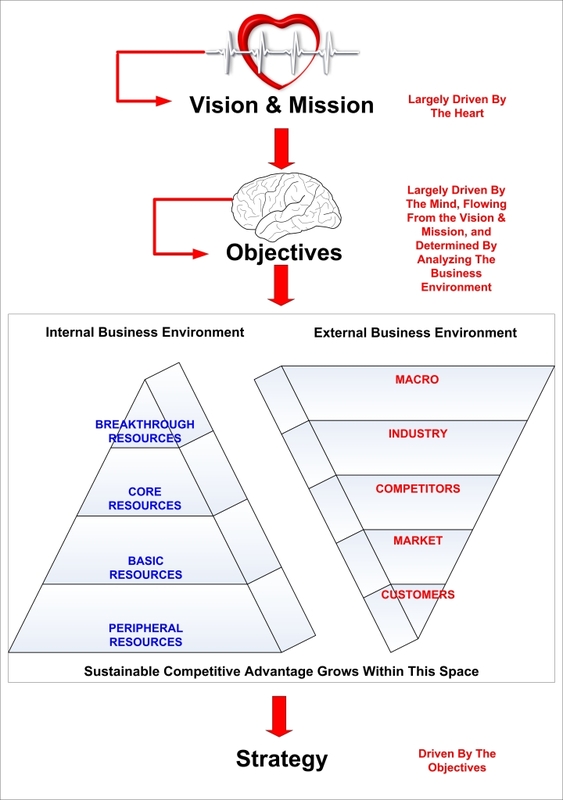 We are always looking for the sweet spot where sustainable competitive advantage exists or can be built in a business. 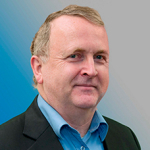 This can only be done after both the external and internal business environments are assessed. The internal business environment comprises of 4 key resource types, according to proponents of emergent or agile strategy. These are Breakthrough Resources; Core Resources; Basic Resources and Peripheral Resources. These are listed in order of importance and we need to identify the optimum mix and blend of each type of resource that will serve the business best. These resource types can be further refined by looking at them in the context of the 6 tangible resources that each SME business has – Human Resources, Finance, Plant & Equipment, Technology, Intellectual Property and Knowledge Capital – and fitting them into the appropriate category. We then look at the classical or prescriptive strategy, which is driven by the need to closely examine the external business environment. These can be broken down into Macro, Industry, Competitor, Market and Customers. 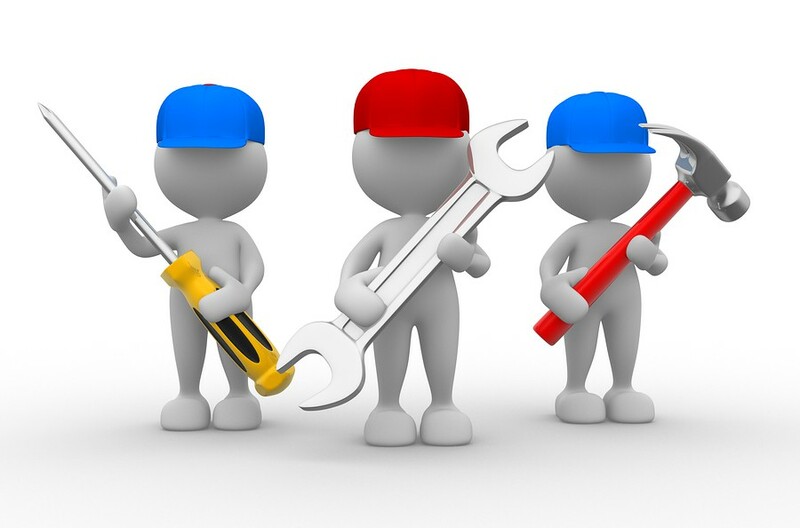 We all use our preferred tools to analyze these 5 core areas. I tend to use the ones shown in the image below. PESTEL is particularly useful for looking at the industry drivers that set the scene for market participants. In many ways they may be seen as the rules of the game and you cannot play unless you observe them. Key Success Factors are a way to look at the minimum requirements for competing successfully in an industry. If you cannot meet the minimum criteria, then you cannot hope to survive and thrive in the industry. Porters 5 Forces Model is concerned with the intensity of rivalry in an industry and the specific threats posed by new entrants and substitutes. It also helps to identify where the market power in the industry resides and whether the bargaining power is with buyers or suppliers. The Four Links Model is more concerned with collaboration than rivalry and seeks to help you identify how a business may leverage other businesses’ resources for their own benefit. It examines how an organization may take advantage of formal co-operative links; informal co-operative links and networks; complementers that you can co-brand with; and Government links and networks. The Boston Matrix examines a business’s products or services and their stage in the product life cycle. The model suggests that products belong in a constantly changing matrix of 4 parts. Typically, a product will start in a quadrant where it looks promising but its future is undetermined. This is represented by a question mark. It then moves to become a rising star where it is at or above breakeven point. This quadrant is represented as a star. It then peaks at it highest earning capacity – represented by a Cow (as in cash cow). It then tails off into a dying product that will eventually cease to exist. This last quadrant is represented by a dog. Knowing where individual products lie in the Boston Matrix helps the business owner to plan his product mix over time and maximize sales stability and earnings. Segmentation is simply looking at the profile of buyers in a target market and identifying the dynamics that drive them to buy. It is concerned with dividing people into defined groups that are likely to share key characteristics and buying habits. 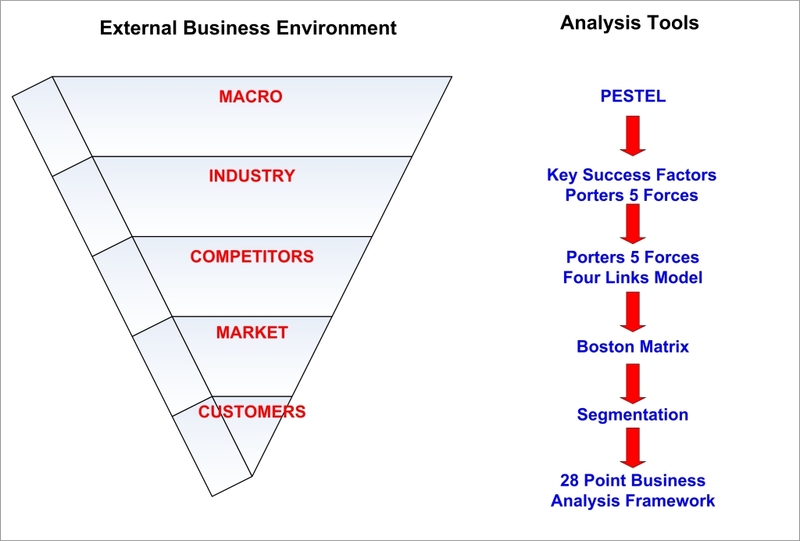 The 28 Point Business Analysis Framework does not sit in any particular category in the external or internal business environment but rather dips into each one. It divides a business into 28 core functions and seeks to identify whether a business is being managed in accordance with observed best business practices. Essentially, it is looking at the drivers of excellent business performance and the way in which business owners and managers make decisions that support or destroy value and financial performance. This analysis capability is fully automated into the GrowthOracle product, which delivers detailed reports on client businesses following completion of a detailed questionnaire by the downstream client. All reports can be modified by the consultant who is using the tool, so that it may reflect his IP and industry knowledge. The whole point of using an array of business analysis tools when looking at client businesses is that each one uncovers something different and therefore a business consultant or advisor is better equipped to come to the correct conclusions for each of his individual clients. This allows the consultant to do his very best work and to deliver upon the promises made to any client at the outset.